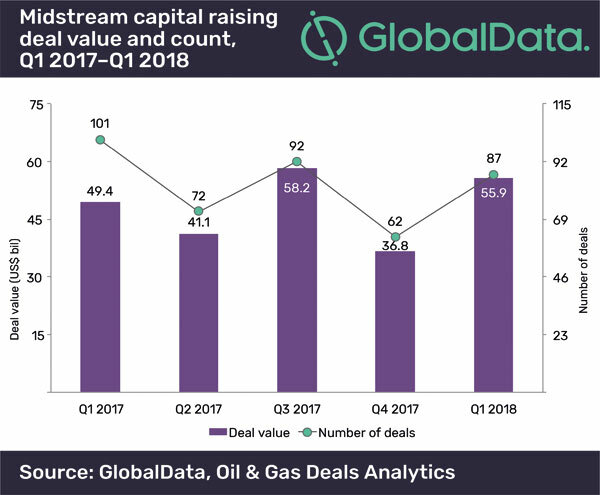 Global capital raising activity in the midstream sector totalled US$55.9 billion in 1Q18. This was a significant increase of 52% from the US$36.8 billion in capital raising deals announced in 4Q17. 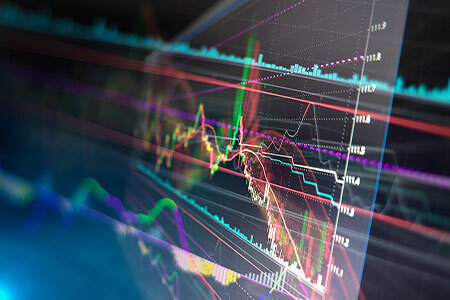 On the volume front, the number of capital deals increased by 40% from 62 in 4Q17 to 87 in 1Q18, according to GlobalData, a leading data and analytics company. A year-on-year comparison shows an increase of 13% in capital raising value in 1Q18, when compared to 1Q17’s value of US$49.4 billion. The quarter recorded 34 capital raising deals with values greater than US$500 million, together accounting for US$42.3 billion. Capital raising, through debt offerings, witnessed an increase of 47% in deal value, recording US$37.3 billion in 1Q18, compared to US$25.4 billion in 4Q17. Capital raising, through equity offerings, registered a 44% increase in deal value, with US$11.4 billion in February 2018, compared with US$7.9 billion in 4Q17. Furthermore, seven private equity/venture capital deals, with a combined value of US$7.1 billion, were recorded in 1Q18, compared to nine deals of a combined value of US$3.5 billion in 4Q17. One of the top deals of 1Q18 was Sempra Energy’s public offering of shares, for gross proceeds of US$4.6 billion. The company received net proceeds of approximately US$4.2 billion, after deducting the underwriting discounts. Morgan Stanley & Co. LLC, RBC Capital Markets, LLC and Barclays Capital Inc. acted as joint book runners; HSBC Securities (USA) Inc., Santander Investment Securities Inc., and SG Americas Securities, LLC acted as underwriters to the company in the transaction. Sempra Energy intends to use the proceeds to finance the merger and related costs and expenses, to repay indebtedness, and for general corporate purposes.